Sergeant Rampage is a 2d shoot'em up using the Gamestudio A6 engine. Take control of Keith, a disillusioned solider taking revenge on those he once trusted. Ammo and allies are scarce, but his rage is infinite! I spawned a bunch of AI tanks to fight each other! Watch as the smoke and mayhem fill the air with explosion and confusion, flying armor piercing shells, counter measures, and anger! AI tanks currently do not have any distancing abilities to distance themselves between their own allied tanks, so they clump up like infantry do. I will be improving on that later. 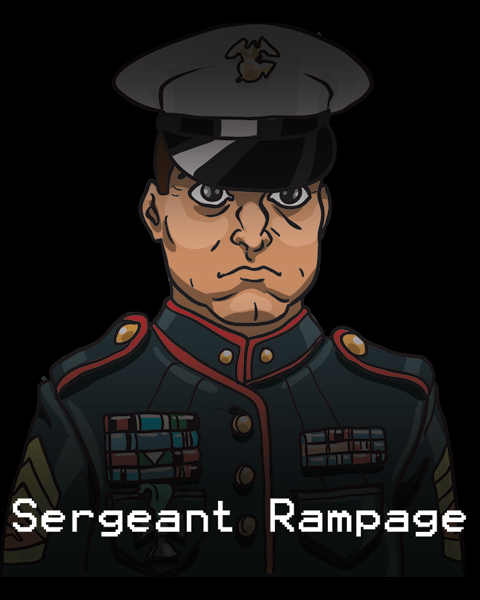 Sergeant Rampage: New Player Controllable Tank! The Player can now hop into a controllable tank and let loose some heavy firepower! I've added a new AI type, Heavy Tanks! See the video for some heavy armored action! Development is a little slow, but Ive added a new weapon to Sergeant Rampage!